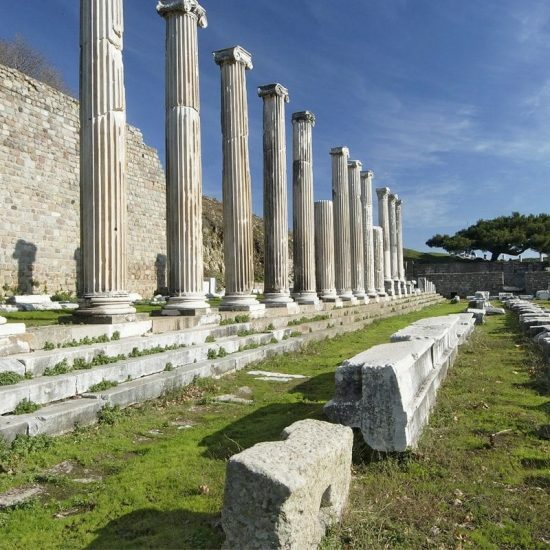 Turkey tours are a pilgrimage of culture, history, adventure fun and relaxation. 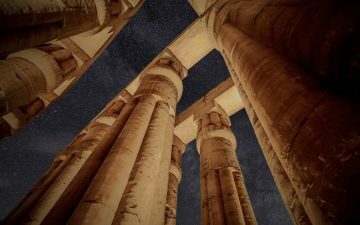 Join us and visit a country known as “the cradle of civilisation” being that the soils have seen many of the great empires and civilisations in history. 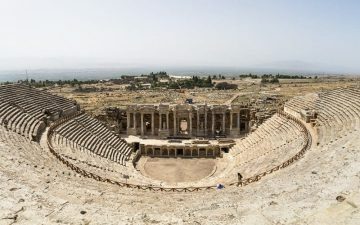 Anatolian cities are said to be among the earliest human settlements in the world, from the miraculously preserved monuments of the Hellenistic-Roman civilizations to the path to Noah’s ark.Whatever it is you are looking for in an adventure or tour, Turkey has it all. Want history? Feel centuries of history beneath your feet as you walk through the ancient ruins of Ephesus, where the Temple of Artemis stands, which is one of the Seven Wonders of the Ancient World; or visit the beautiful Ihlara valley, where early Christians escaping Roman Soldiers took up settlement, carving hundreds of churches and underground cities into the unique rock formations. 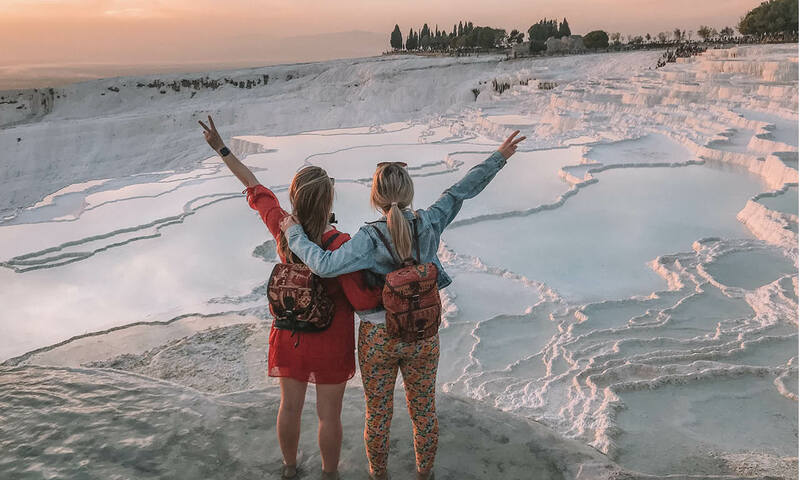 Then the diverse landscapes of Turkey from the cities to the coastline, mountains and lakes lend plenty of opportunity for variety and activities for the adventurous traveller.No travel experience is complete without sampling some of the local cuisine. 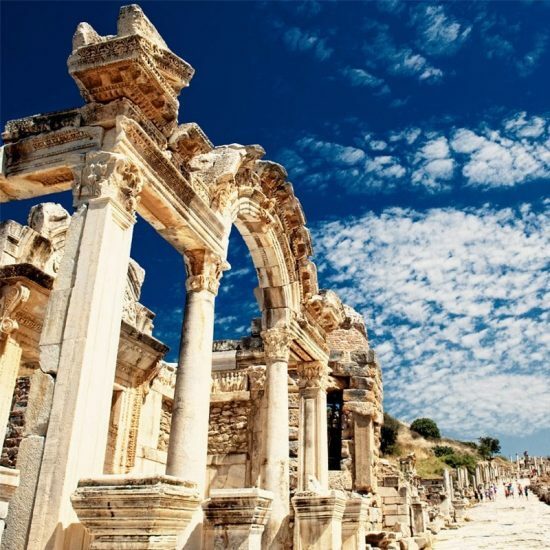 We have done all of the hard work for you, and have sourced some of the best hotels which provide an exquisite array of traditional Turkish cuisine, and then the inside knowledge of our experienced guides will point you in the right direction for meals that aren’t included.From the history, sights and sounds, to the company and atmosphere; our Turkey tours combine it all to create that authentic travelling experience. 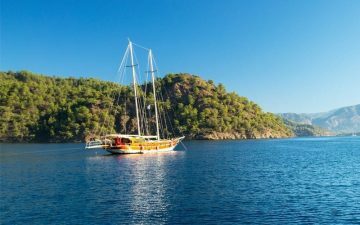 A Turkey sailing tour is an appropriate holiday suited for travellers who are looking for sun, relaxation, exploration and fun. 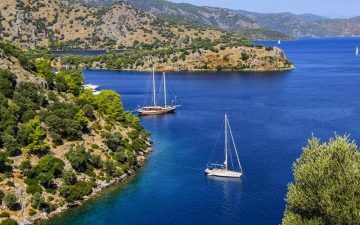 Sail on a traditional Turkish gulet through turquoise waters, stopping to visit Turkey’s unblemished islands, stunning coves, charming towns and picturesque beaches. 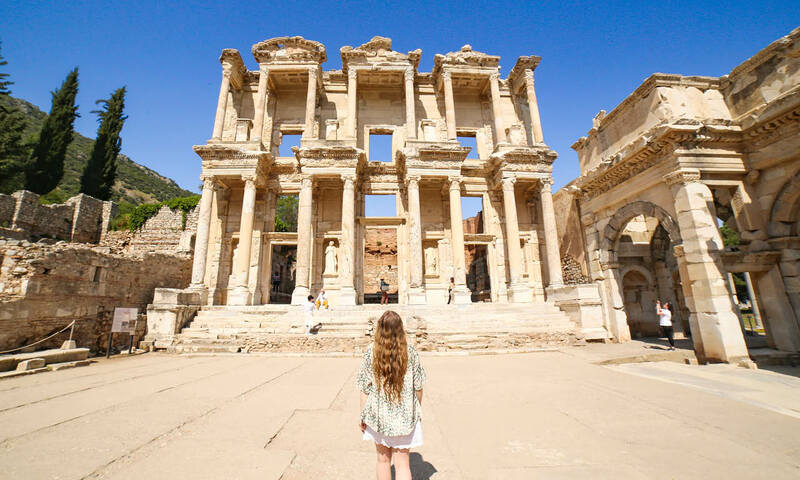 Enjoy the Turkish hot spots such as the likes of Marmaris and Fethiye and journey back in time with the plethora of castles, ancient sites and archaeological locations. 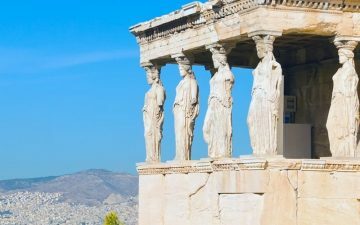 From the Acropolis of Athens to the Blue Mosque in Istanbul, a Travel Talk Greece and Turkey tour provides experiences sure to satisfy. Visit Turkey and discover the wonders of Istanbul, the world’s only city situated on two continents; Asia and Europe, along with learning the history of Gallipoli, Troy and Ephesus. Trip to the natural marvels of Pamukkale and Cappadocia and relax on the picturesque coast. 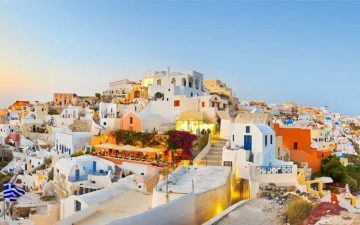 Then journey onto Greece, which is identified as a nation that is known for quaint villages, iconic blue and white domed buildings, archaeological spots, renowned sunsets and sapphire waters. 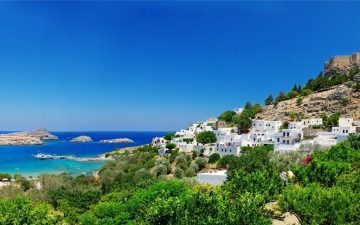 No Greek Island is the same which means that visiting this destination will be very much a unique experience. 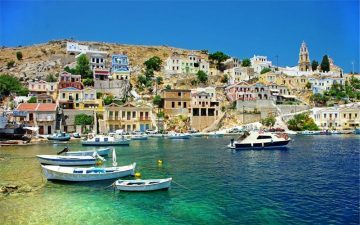 From charming fishing communities to ancient momentous ruins, Travel Talk’s Turkey and Greece tours will not disappoint. There are plenty of beaches, restaurants and bars to enjoy in this highly popular touristic town. The overall experience surpasses my expectation. 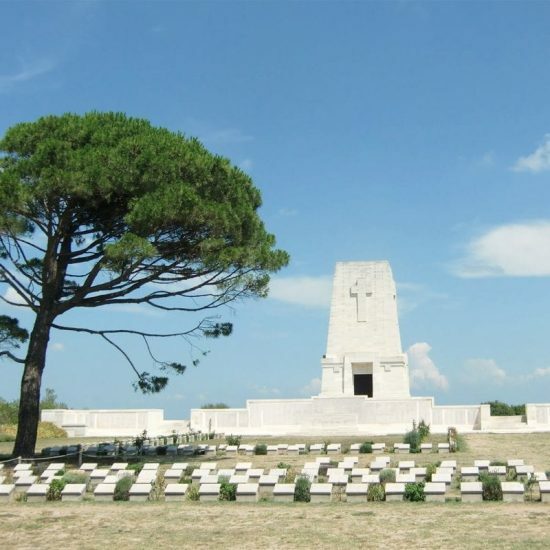 I have read several reviews before choosing this tour and most of the reviews are great. I’m glad that my experience came out the same. The Guide Mustafa goes out of his way to accommodate everyone and equipped us with much needed guidance & knowledge about places. I will certainly recommend Travel Talk Tours to all my friends & looking forward to more tours with Travel Talk. Thank you. 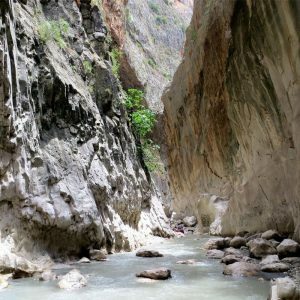 Travel Talk – Always have had a great experience. Kev is an awesome guide mainly as he relates everything to the general crowd on the tour. Very funny. Great trip. I really loved this tour, Kevin was full of interesting facts and knowledge about Turkey and all of our destinations. Best guide ever! Mustafa Abi was a fantastic driver and I always felt safe whilst on the bus. We did a lot on this tour and everything seemed to run smoothly which made for a very pleasant time. 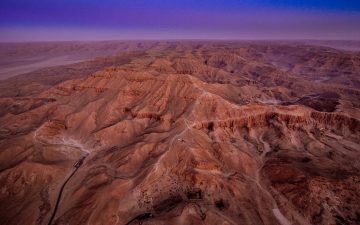 I would highly recommend Travel Talk Tours and will consider Travel Talk for any of my future travel plans. Thank you! Yavuz was a great guide and really made this a great + fun tour. I really enjoyed it and there were lots of laughs along the way. It was also very helpful in regards to learning about the culture as Yavuz was very knowledgeable throughout the tour. 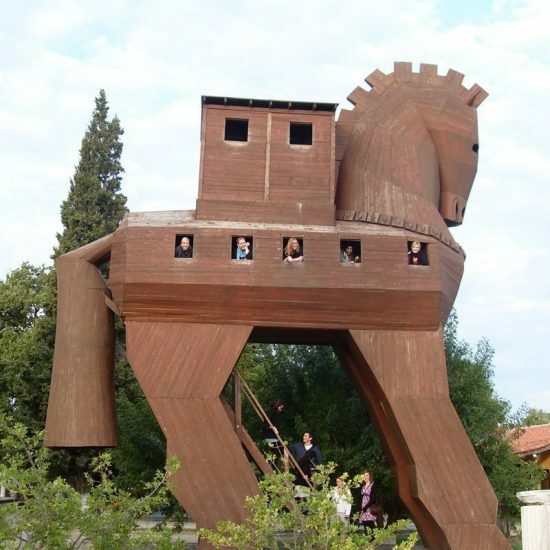 I would definitely recommend this tour! Mustafa was a very relaxed & helpful guide. He was very open to group suggestions & went out of his way to make sure that all passengers were having a positive experience. Hotels were all very lovely & the staff very accommodating. Overall a really good tour! 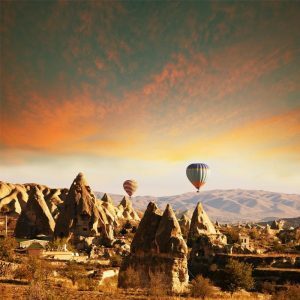 As Turkey is such a large country with so many diverse attractions, at times it can be difficult to decide on the best time to visit. 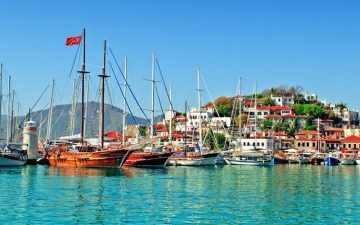 Turkey has characteristic Mediterranean temperatures with the hottest months from June to September and the coldest months from December to February. 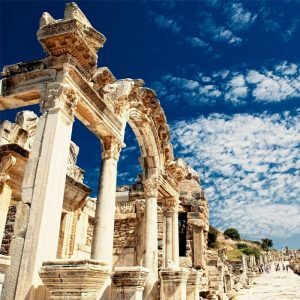 Travellers generally choose to travel Turkey between the months of May and October because the temperatures are pleasant, the sky is clear and travellers can comfortably visit all areas of Turkey from the coast, to the cities, to the mountains, with ease. Turkish food is among the greatest on earth with many of the dishes originating from the Ottoman cuisine. 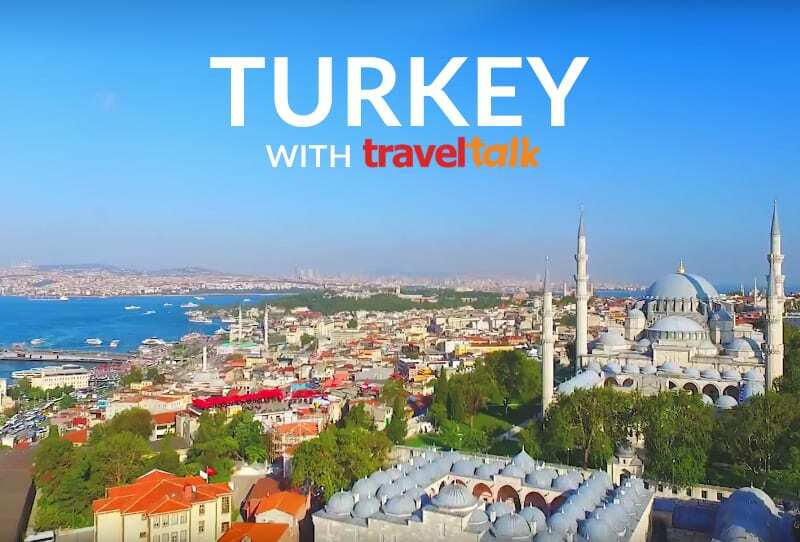 A lot of Turkish food is regional, contrasting from one place to another with dishes that have plenty of variations using spices, meat, seafood and vegetables. Street food is very popular with cheap eats of döner, köfte, gözleme, pide and mussels’ being readily available. Restaurants offer an array of Turkish cuisine and prices vary per the type of establishment. Turkish coffee and tea is widely drunk along with two national drinks, the first being a salted yoghurt based drink and the other being an alcoholic beverage called raki. Whilst on a Turkey tour, experiencing the shopping scene is a must. 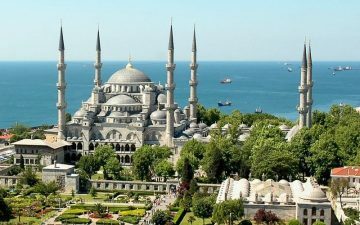 With plenty of markets, stores, shops and bazaars to choose from you’re able to discover a wide range of beautiful unique crafts, textiles, jewellery, clothing and furniture.Turkey is also home to the Grand Bazaar; the biggest old covered bazaar in the world, with over 3,000 shops of all kinds. Haggling is also part of the experience, so brush up on your skills. 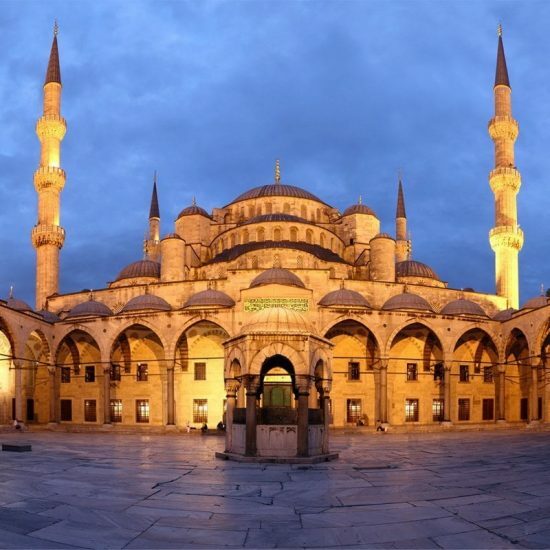 Ramadan: The 30-day Islamic holy month of Ramadan is a time of prayer, celebration and fasting. Many Turks fast from sunrise to sunset and then after sunset the feasting commences. The Ramadan Feast in Turkey is an occasion for visiting relatives, paying respects to elder people and many Turks give sweets during the festival. It is an official holiday that continues for three days and celebrates the end of the fast of Ramadan month.Anzac Day: Each year in April, masses of people travel to Gallipoli in Turkey to pay their respects to remember and honour the fallen New Zealand, Australian and Turkish soldiers who lost their lives on the same shores during World War I. Travellers can attend the moving dawn service, memorial sites and experience a unique atmosphere that is an extremely iconic moment in history. How Much Is The Local Payment? Local Payment needs to be paid in cash on the first day of the tour, to our representative. 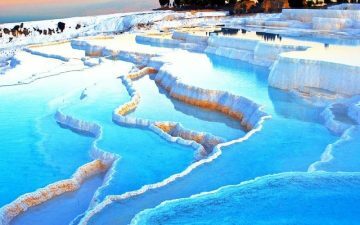 You can also pay for it in USD, EUR, AUD or in Turkish Lira, in that case the equivalent amount will be calculated with the daily rate. 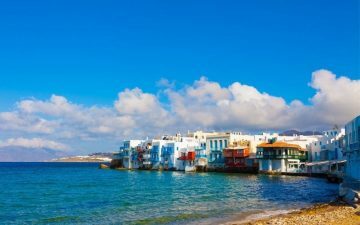 Are airport transfers included and how do I arrange them? 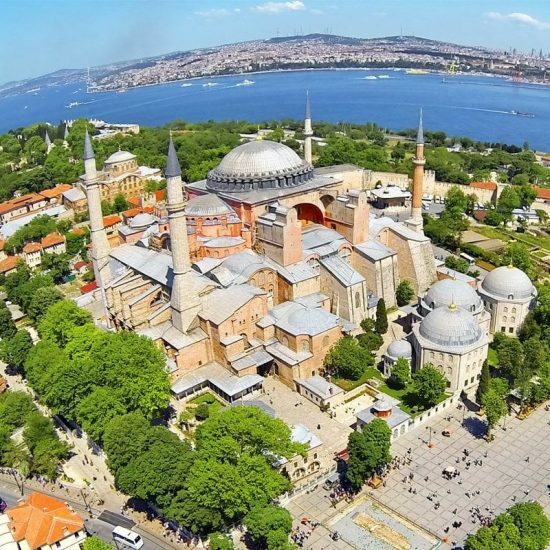 All of our tours departing from Istanbul include arrival airport transfer if your flight lands to Istanbul on the first day of your tour between 5am – 11:30pm or if you have booked your Pre Accommodation through us. 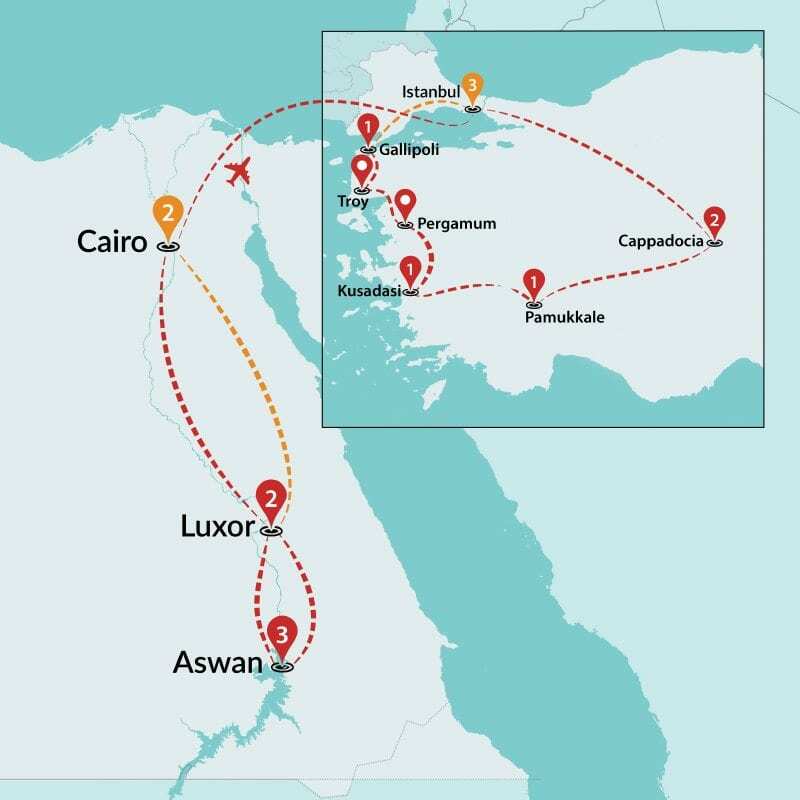 You must inform our call centre or info@traveltalktours.com of your flight details (date of flight, flight number, arrival time and name of travellers) at least 10 days prior to your arrival for the confirmed arrangement of your transfer. You will be picked up by a Travel Talk representative holding a Travel Talk sign at the airport. 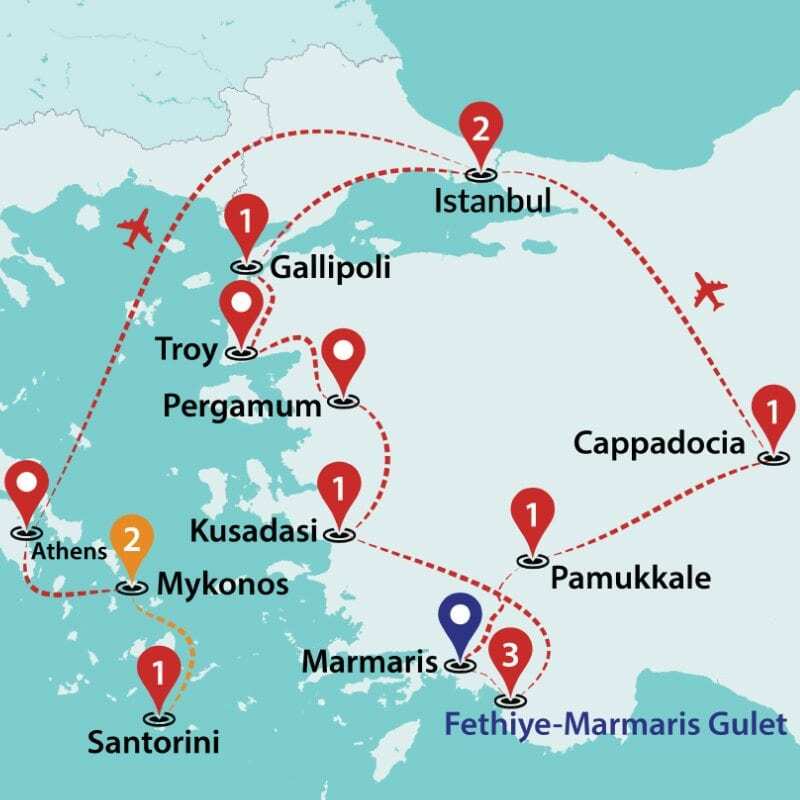 Sail Marmaris to Fethiye: Unfortunately airport transfer is not available for this tour. Departure airport transfer is not available in Turkey. Where we are gathering for the meeting on the first day? Your info meeting will happen at your arrival hotel around 6pm (7pm for summer tours). Please refer to ‘Arrival Details’ of your tour. 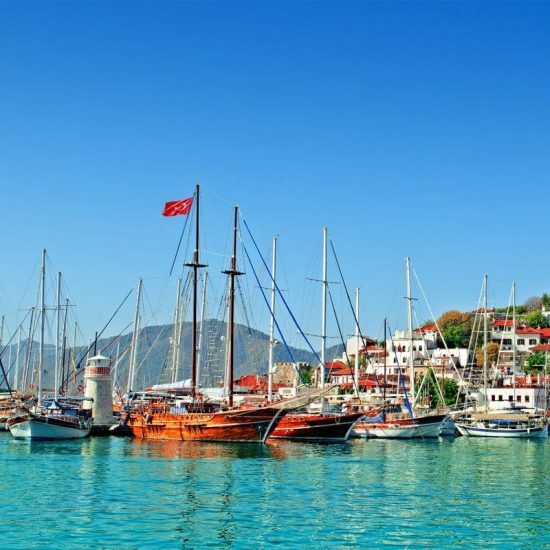 Sail Marmaris to Fethiye: Meeting Point is Barbaros Yachting’s desk, in front of Cafe Anatolia (Marmaris Harbour). Boarding starts at 15:30 pm. 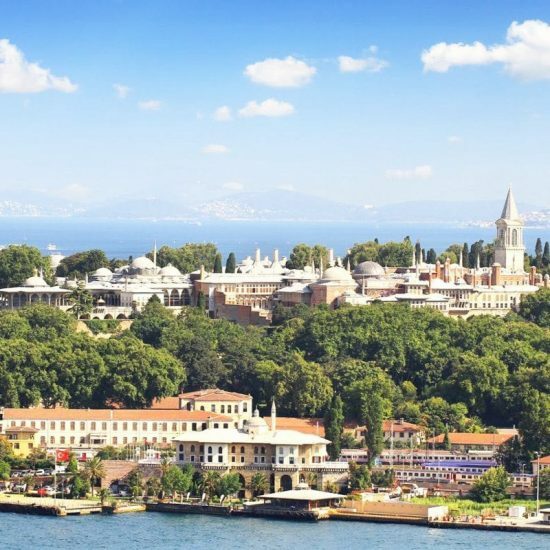 Depending on the dates and hotel availability, we may be able to arrange pre/post-tour accommodation in Istanbul. Pre Accommodation includes breakfast & airport transfer and Post Tour Accommodation includes breakfast. 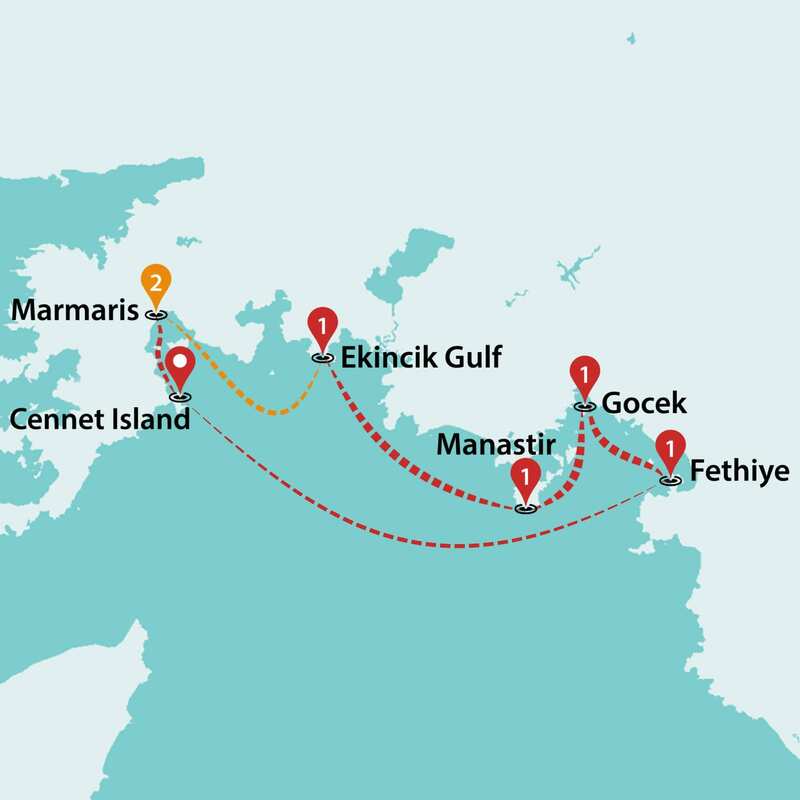 Sail Marmaris to Fethiye: Unfortunately extra accommodation is not available for this tour. Do I need to get my visa beforehand or can I get it on arrival at the airport? Can I pay my optional activities with credit card? 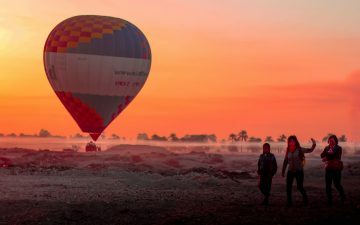 Some entrance fees & optional activities may be paid by credit card (including Hot-Air Balloon). Your tour guide will provide the complete list during the info meeting.Please note that extra fees may be applied for payments via credit/ debit cards. What is the personal spending money? You can expect £20 - £25 per day including entrance fees & meals (excludes drinks). Is there any luggage restriction? What should I pack for my tour? 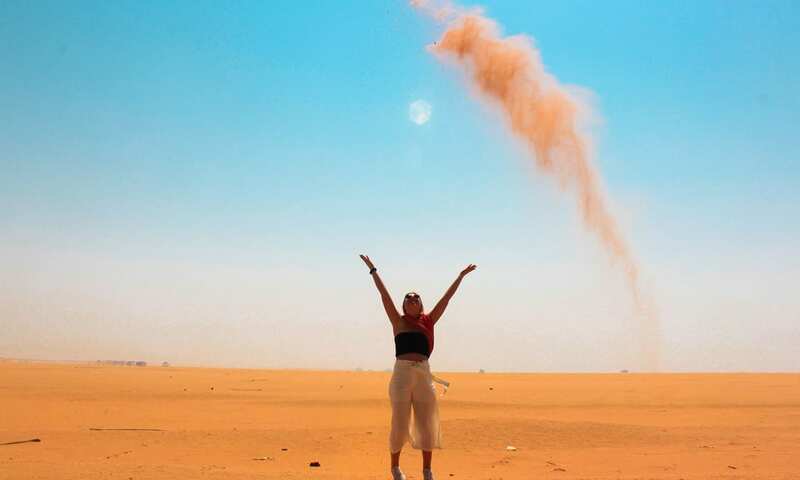 Do your tours welcome solo travellers? 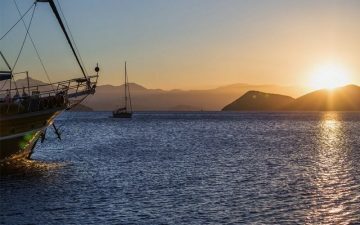 I’m a solo passenger; do I need to pay the single supplement? There are always solo travellers on our tours. 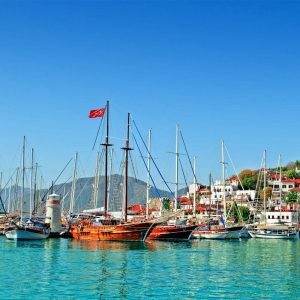 If you don’t mind being roomed with another single traveller of the same gender, then you do not need to pay the supplement.The single supplement is for travellers who would like to stay in a single room for the duration of their tour.Single Supplement may be requested for Sail Marmaris to Fethiye tour as all of the cabins are Double on this tour. Will my tour be affected if I travel during Ramadan period? What if I join the tour late? You can join a tour late or miss the info meeting on the first day if you inform our crew prior to departure. 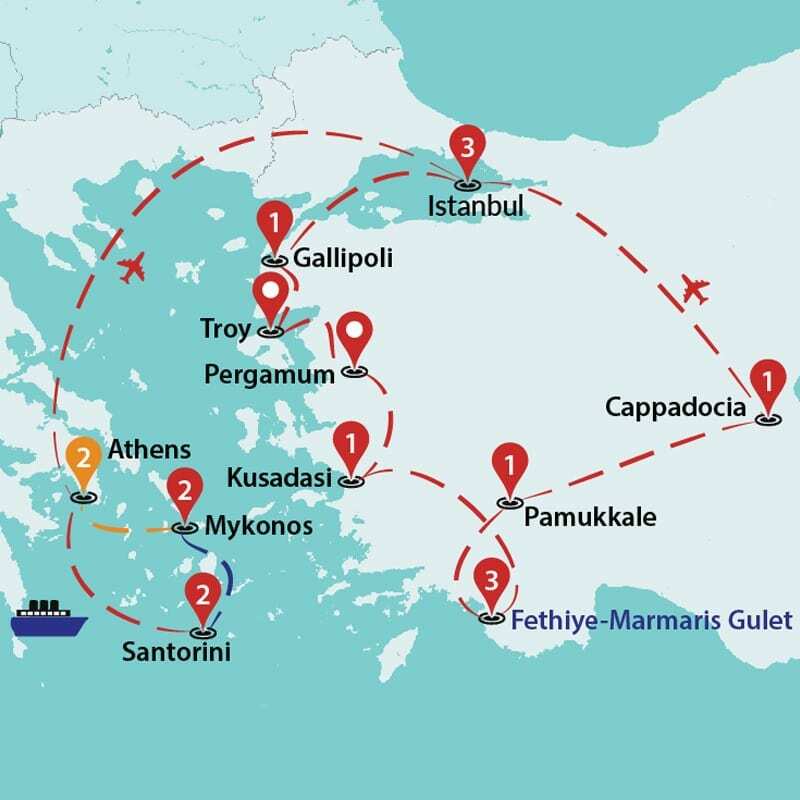 Please note that it will be your responsibility to make the necessary arrangements to catch the group.Unfortunately this is not an option for our Sail Marmaris to Fethiye tour.For all emergencies, you can contact +90 542 779 0434. Can I miss the welcome meeting? Being avid travellers ourselves, we know that unforeseen circumstances arise. If you are late and miss the welcome meeting, don't stress, just check the information board in the hotel lobby for the next day's programme.For all emergencies, you can contact +90 542 779 0434. What are the driving distances on my tour? Is Hot Air Balloon an option on my tour? If your tour visits Cappadocia, Hot Air Balloon is one of the optional activities of your tour. Please remember that this activity depends on weather conditions. We recommend you to carry a mixture of cash and a debit/credit card. The Turkish Lira is fully convertible and can be obtained before departure or upon arrival. ATM facilities, banks and Exchange booths are available in all major cities and towns. Avoid changing the bulk of your money at the airport as the exchange rates are usually more favourable in the city. Your tour leader will be pleased to help you if you need any assistance. Tips are a common reward for service staff in Turkey. Your tour guide and crew will be especially appreciative and honoured with this kind of traditional gratitude at the end of your tour. 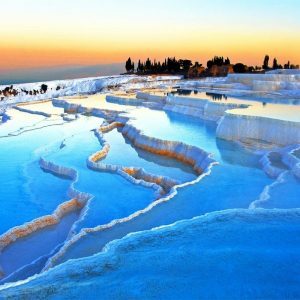 We have a large variety of tours in Turkey, we will try to help you to find the one that meets your expectations. 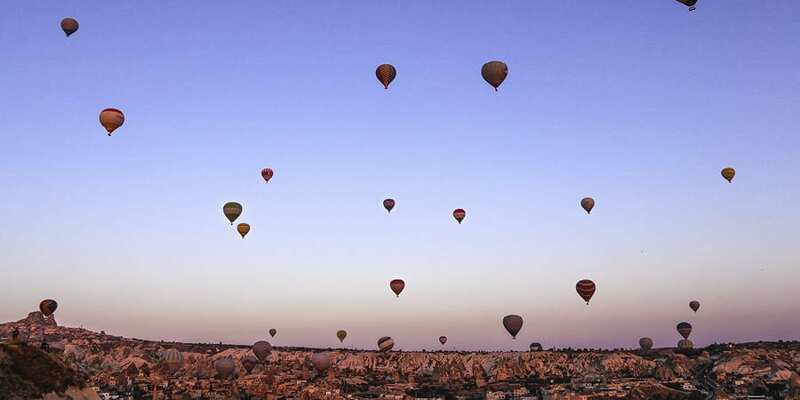 Land Tours (Summer): Best of Turkey by Land, Amazing Turkey by Land, Fantastic Turkey by Land, Western Turkey by Land. 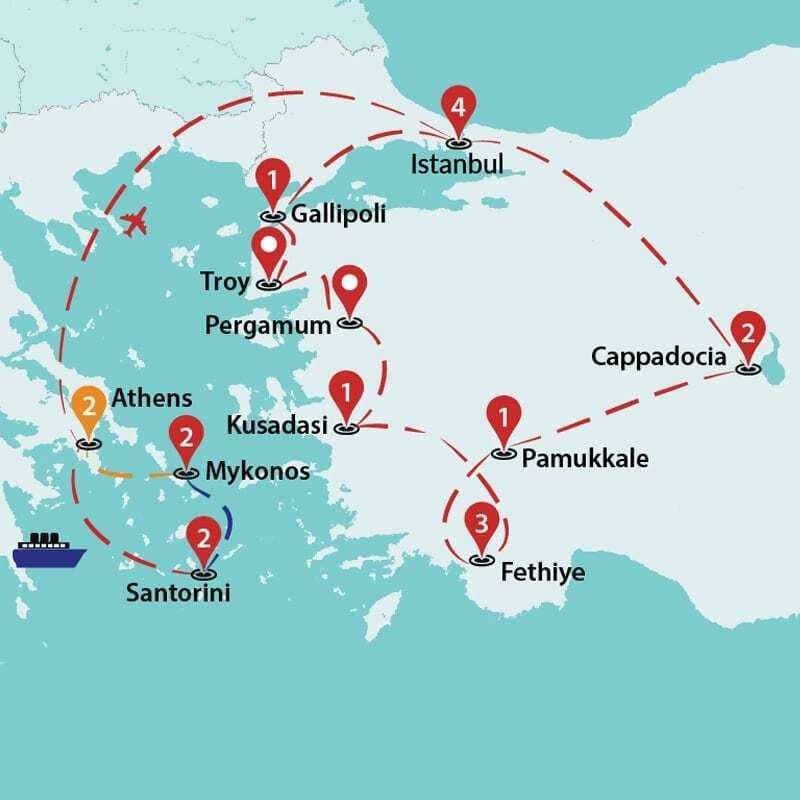 Land Tours (Winter): Essential Turkey. 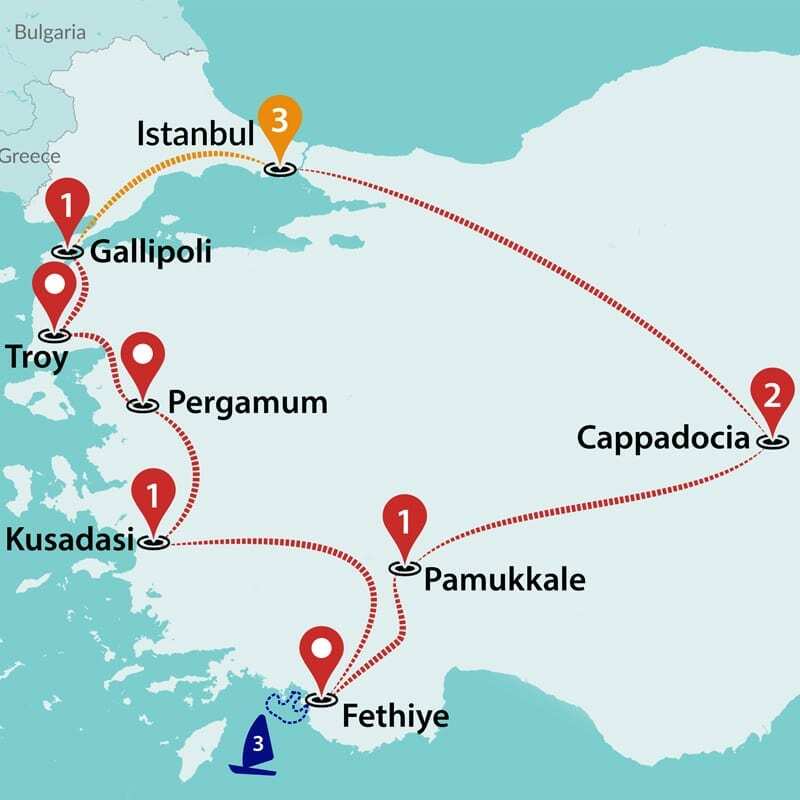 Land & Sailing Combined (Summer Only): Best of Turkey by Gulet, Amazing Turkey by Gulet, Fantastic Turkey by Gulet. Fantastic Turkey by Land/ Gullet. 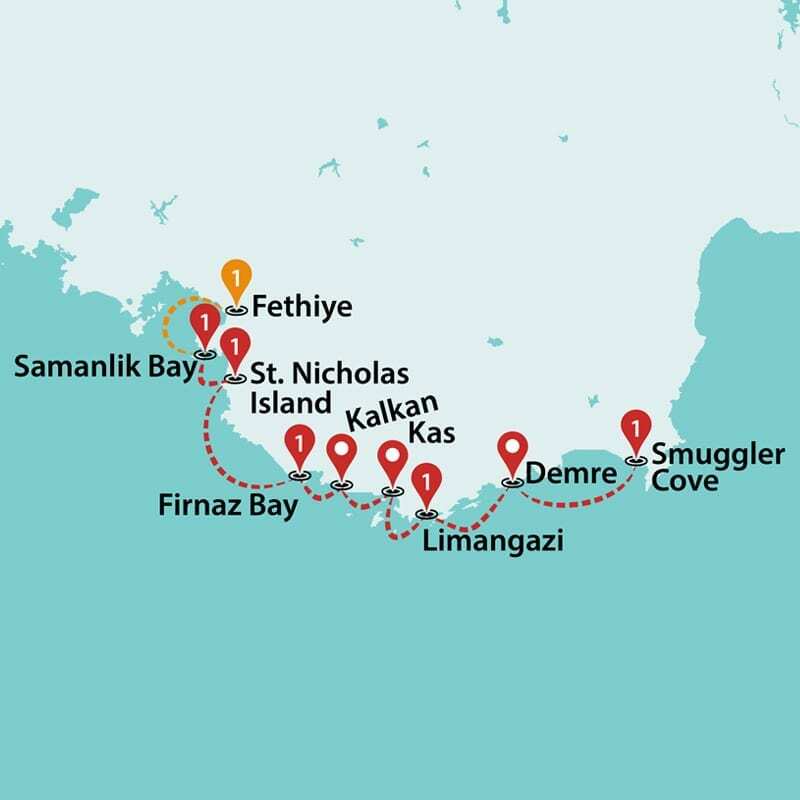 Includes South Western Coast: Best of Turkey by Land/ Gullet, Amazing Turkey by Land/ Gullet, Western Turkey by Land. 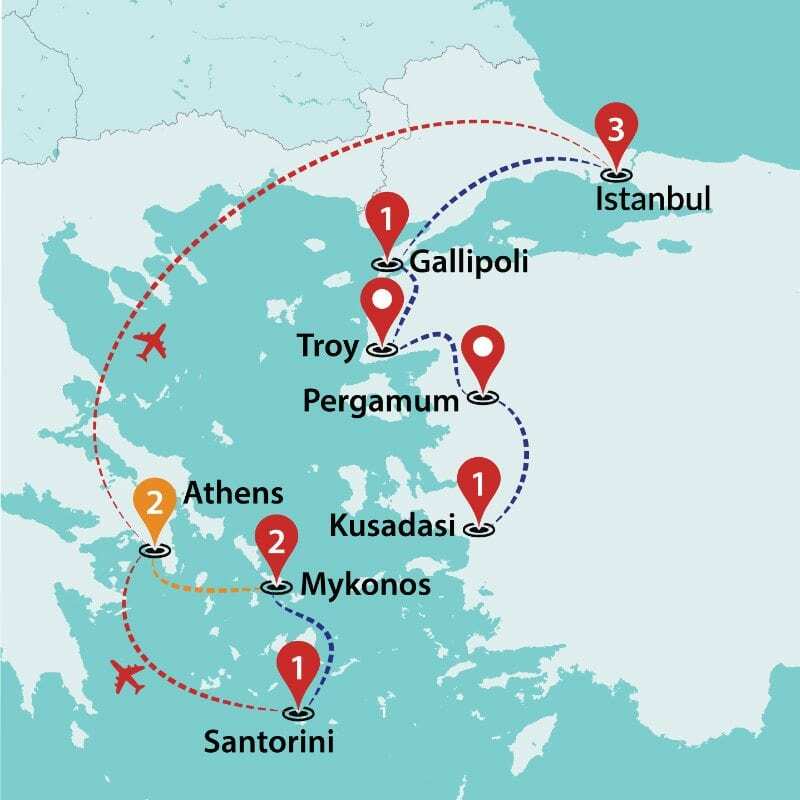 Turkey & Greece Combined (Summer – Land Tours): Greece & Turkey Discovered, Fantastic Greece & Turkey, Best of Greece & Turkey, Athens to Cappadocia, Athens to Gallipoli, Athens to Istanbul. 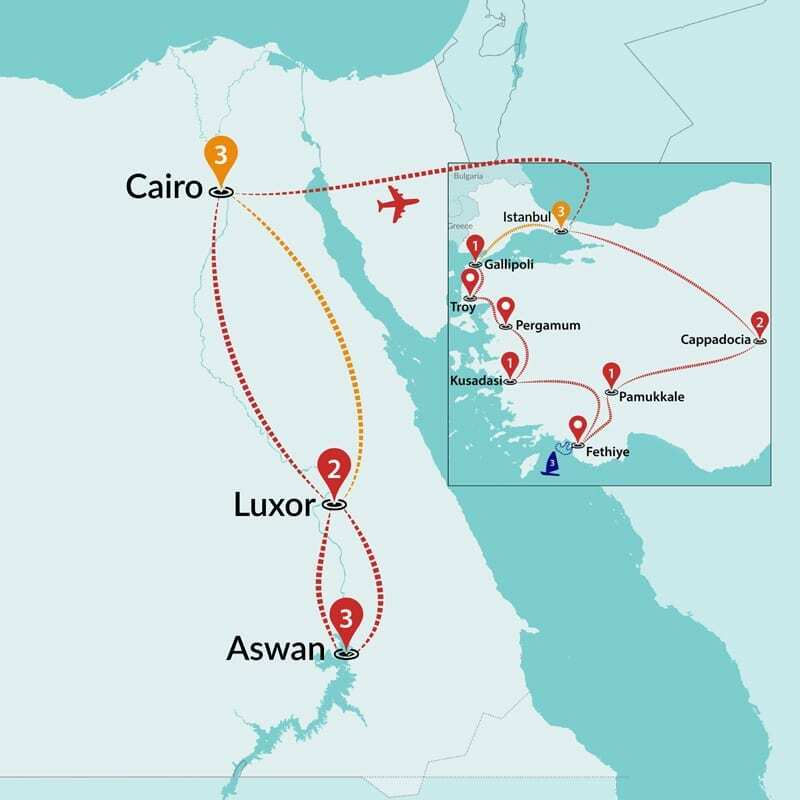 Turkey & Egypt Combined (Summer – Land Tours): Amazing Egypt & Turkey, Best of Egypt & Turkey. 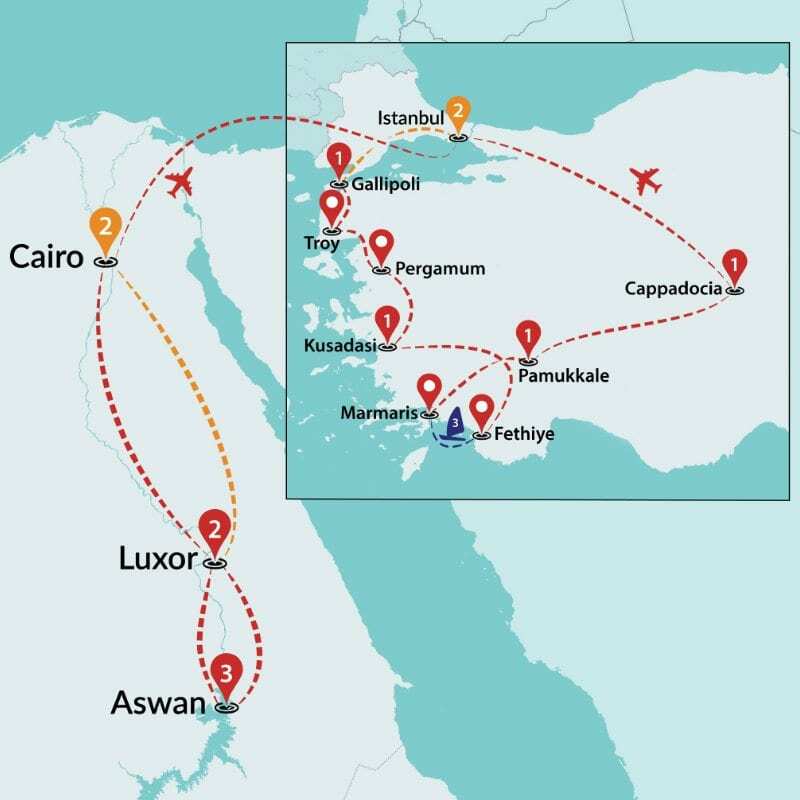 Turkey & Egypt Combined (Winter – Land Tours): Essential Egypt & Turkey.